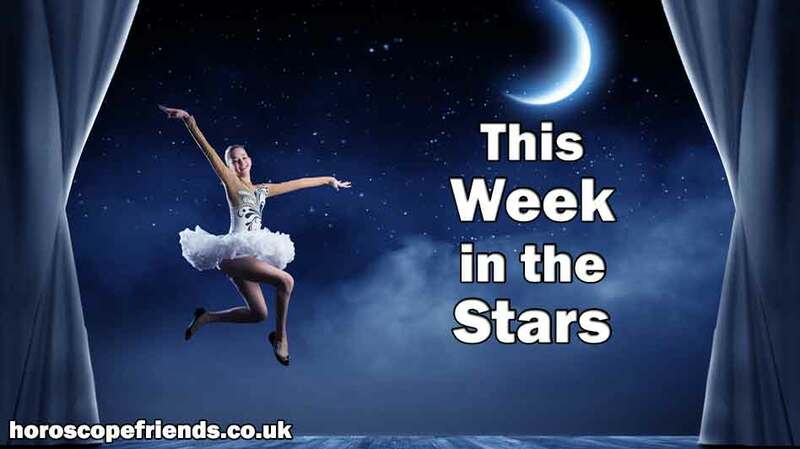 Free weekly horoscope for all star signs of the zodiac. Find out what this week 22 Apr - 28 Apr has in store for, in matters of love, career and more. Pluto is about to station retrograde this Wednesday making April 22-28 a very intense horoscope week! Just before, the Sun conjuncts Uranus in Taurus just as Venus conjuncts Chiron in Aries constellating new themes that will take you all the way to 2026. As for the weekend, Mars squares Neptune putting on a phantasmagoric magic show… Fancy a romantic getaway? Read on for your weekly horoscope and all the nitty gritty for your star sign! The week April 22-28 starts with a bang as the Sun freshly in Taurus conjuncts Uranus in Taurus! This shines a huge big spotlight on all the ways in which the landscape is changing before your very eyes… Expect surprises as soon as Monday! Things could occur right out of the blue to shake you out of any complacency and remind you that the only certainty is change. Get with it! It’s an exciting start to the week. At the very same time, love planet Venus conjuncts Chiron in Aries. This throws you a double curveball on Monday and Tuesday, testing relationships and showing you the true contents of your heart. You have no interest whatsoever in pleasantries… Flattery even less so. Politeness is not your strong point right now, nor is it anyone else’s. Why? Because it’s about time someone told the truth! The world needs a whole load of honesty right now and to let raw feelings have their say. Then, once all that ugly stuff is out, we can all return to normalcy. It’s a raw moment for relationships on Tuesday the 23rd. The big starry highlight this week is that Pluto in Capricorn stations retrograde on Wednesday the 24th and emotions reach boiling point. The tension is palpable! If you’ve been pushing ahead with major changes in your life you’ll now hit pause and rethink your strategy. And every time you do that, the changes reach further, you dig down deeper and carve out an entirely new path for yourself. Something has reached the point of no return by midweek and you need to sit down and seriously consider what you absolutely need in order to survive and what you’re prepared to do without. Scroll down and click on the icon to check out the weekly horoscope for your zodiac sign on love, career, the lot!